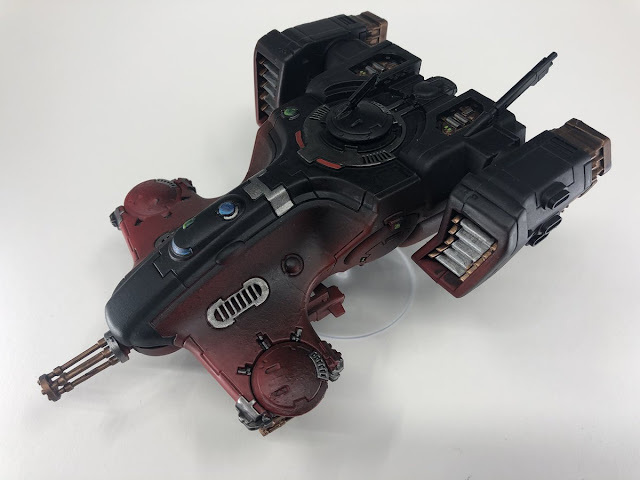 With a new Tau codex now released it was time for me to return to my favorite 40K army and bolster my forces. 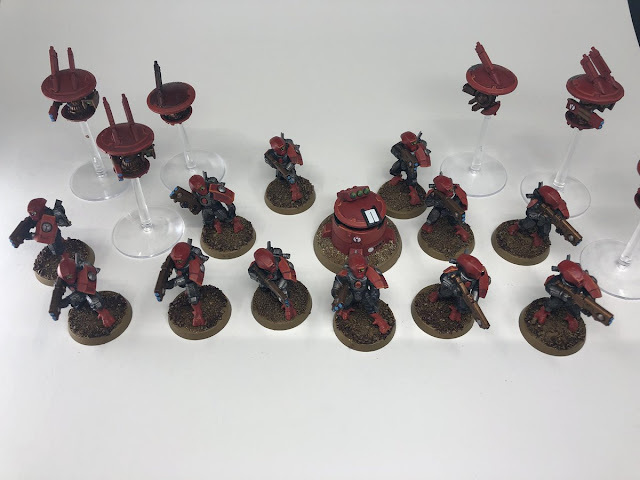 We are playing an escalation league at the office right now, so it was a good excuse to paint up some reinforcements for my Tau armies. I went for a Breacher Team, with a dedicated Devilfish Transport. 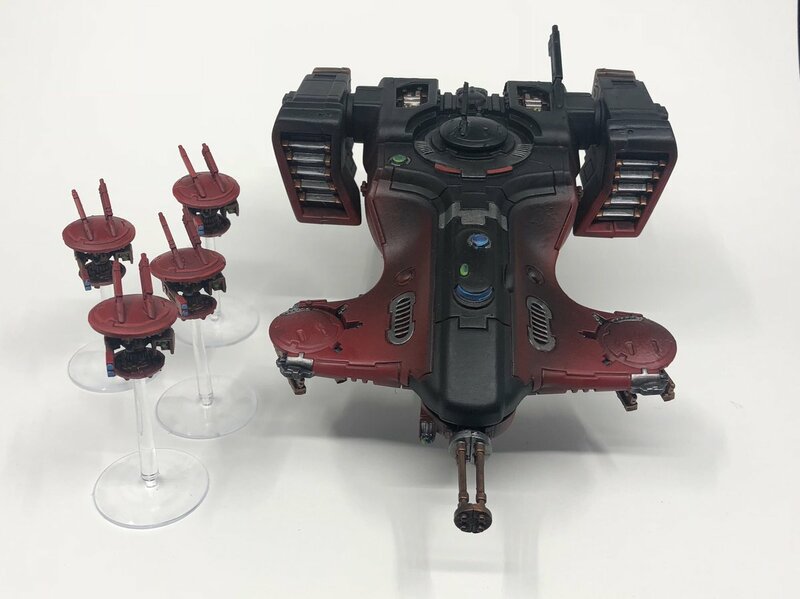 All of my Tau forces use a red scheme, with different secondary colors depending on their role. 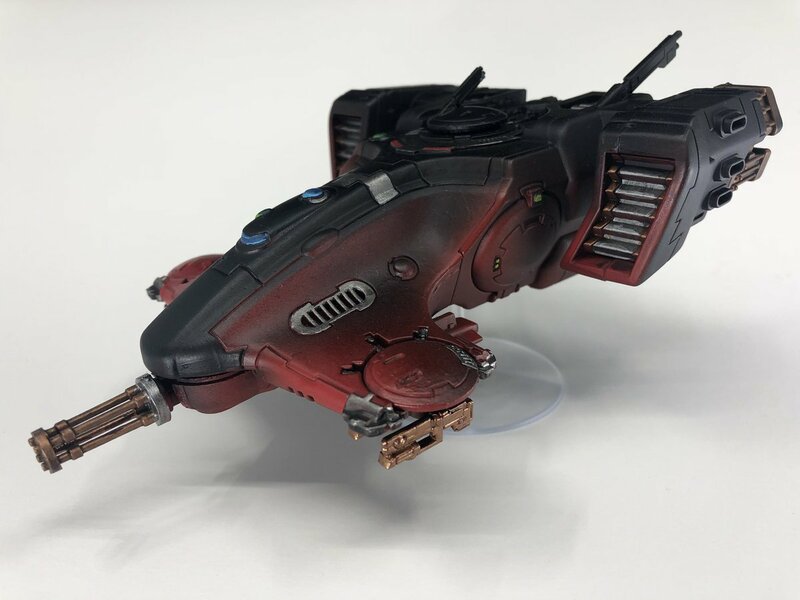 For the Breachers that was black and silver accents, and I was very happy with how that worked out on the Devilfish! 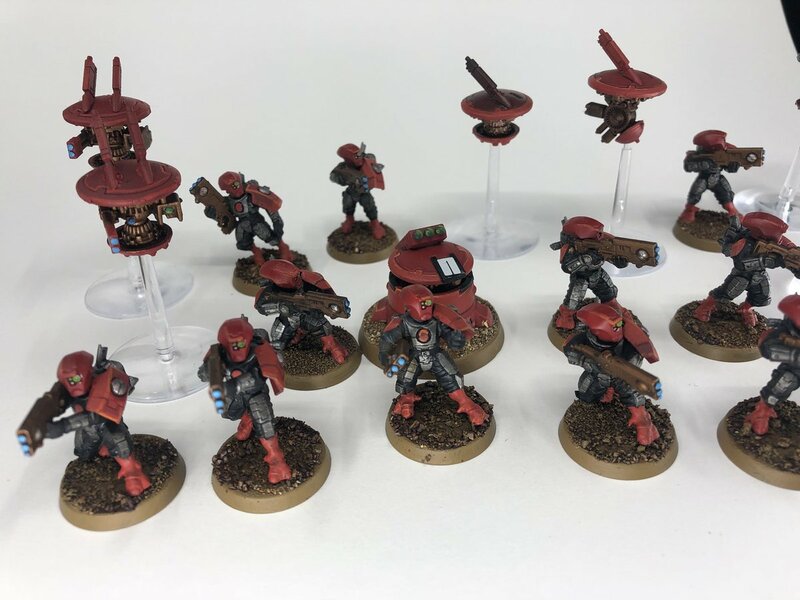 The inspiration for the Breacher Team itself was to swap the primary armor plate color, and use the silver as the main armor color, but enough red accenting to make sure it still feels like it is part of my army, while also distinguishing from the other Strike teams. The impending release of Star Wars Legion will most likely mean that some of those models are my next project. I'm thinking I'm going to start with the Rebels and see how much I like the miniatures.